BERLIN (Bloomberg) -- Daimler CEO Dieter Zetsche achieved a milestone in his effort to focus the German company on its automaking roots, with a long-sought deal to sell its stake in European Aeronautic, Defense & Space Co.
Daimler pressed ahead with an exit from EADS, a company it helped create more than a decade ago, with the 1.66 billion-euro ($2.15 billion) sale of half its holding last week. The sale provides cash as Daimler's Mercedes-Benz brand develops a new compact-car line and updates its flagship S-class sedan. The EADS sale, following the retreat from the Maybach superluxury brand and the sale of Chrysler, sharpens Zetsche's focus on his goal of overtaking luxury-car leader BMW by the end of this decade. Mercedes, which ranks third in sales after BMW and Audi, has fallen further behind competitors this year. "This is now Zetsche's Daimler," said Stefan Bratzel, director of the Center of Automotive Management at the University of Applied Sciences in Bergisch Gladbach, Germany. "There are no excuses anymore. The pressure on Zetsche to reach his goals will increase." Daimler's former Dasa unit was one of the founders of Toulouse, France-based EADS, which was established as a stand-alone manufacturer in 2000 when Airbus's German and state-owned French and Spanish partners combined aerospace assets. The stake sale, resulting from the main investors' agreement to loosen EADS's shareholder structure, frees Daimler from the obligation of serving as Germany's voice at the company. "With the removal of the EADS burden, there will be more time to devote to issues closer to the company's core operations," said Eerik Budarz, a Frankfurt-based analyst with Silvia Quandt Research. "It's certainly a good thing." Zetsche has plenty of catching up to do. Daimler's stock, up 14 percent this year, has risen at less than half the pace of BMW and Volkswagen. Mercedes's 10-month delivery growth of 5.1 percent compares with 9.3 percent at BMW and 13 percent at Audi. During his seven years as CEO, 59-year-old Zetsche has dismantled much of the aggressive expansion orchestrated by his predecessor, Juergen Schrempp. Zetsche's first large-scale move as chief was the disposal in 2007 of U.S. carmaker Chrysler, undoing a merger that Schrempp led in 1998. Zetsche shuttered the Maybach superluxury brand last year after the marque, which Schrempp revived in 2002 to produce cars priced at more than $300,000, failed to become profitable. Zetsche also reacquired control in 2011 of Daimler's former diesel-engine maker Tognum, in partnership with Rolls-Royce Group Plc., five years after the unit was sold following talks initiated near the end of Schrempp's term. "We are a purely focused vehicle and related-services company now, and have been for quite some time," Florian Martens, a Daimler spokesman, said in an interview. "We have a very healthy net liquidity of above 8 billion euros already. We have a plan to invest about 5 billion euros in research and development per year," he added. Investment so far hasn't translated into the level of profit Zetsche had aimed for. 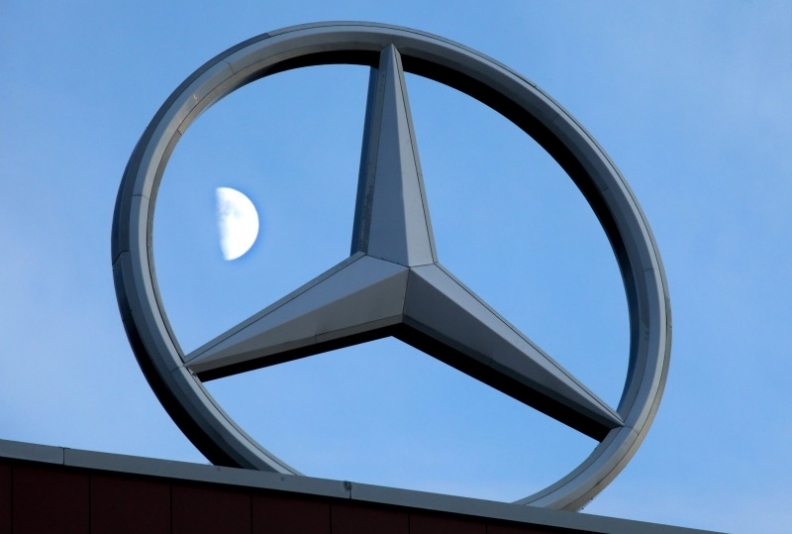 In October, Daimler abandoned its 2013 target date for operating profit at Mercedes to reach 10 percent of sales, saying it can reach the goal only in 2014 at the earliest, at least four years later than originally planned. Mercedes has been trailing in China, with sales edging up 4.2 percent this year versus gains exceeding 30 percent for BMW and Audi. Zetsche oversaw the introduction in September of the Mercedes A-class hatchback, part of an expansion of entry-level cars to at least five models. A new version of the S-class, eventually with three variants, is scheduled to go on sale in mid-2013. The company is targeting sales of 1.6 million Mercedes-badged cars by 2015, 25 percent more than last year. Daimler can count on another cash boost from its EADS investment next year. The carmaker will dispose of more of its remaining 7.5 percent holding in EADS after a six-month lock-up period expires. The transaction is part of a deal in which Germany will join France in directly holding 12 percent of EADS while the governments' veto rights over business decisions are eliminated. "If you assume Daimler will be able to sell the other half, that will boost the war chest by a good 3 billion euros, which naturally gives them greater freedom," said Christian Ludwig, an analyst at Bankhaus Lampe. "They have already got a decent cash cushion, so it wasn't urgent to get the money, but it certainly doesn't hurt."